Australians will now start to feel the effects of the closure of local car plants with the pricing of the latest Toyota vehicle. The Toyota Camry made in Japan now has a recommended retail starting price of $31,000 drive-away. For more than two years, the price of the Camry as indicated on the Toyota website was at $26,990 drive-away. 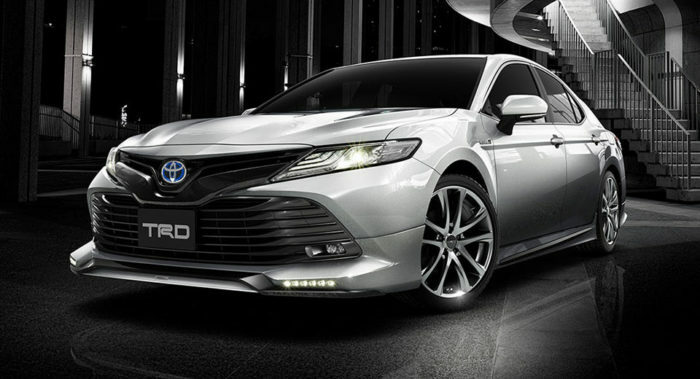 The Japanese carmaker’s locally manufactured V6 sedan, previously called the Aurion, had a $29,990 drive-away price for the same time period but the latest Camry V6 now has a $40,000 drive-away. This makes it $10,000 more expensive than the Melbourne-made model. Meanwhile, the petrol-electric Camry hybrid only got a modest price jump, from $32,990 drive-away to $33,500 drive-away. The changes in the Camry’s price range can be attributed to the extra technology and equipment, according to Toyota. “The drive-away price for the locally-made car versus the drive-away price for the new car has gone up (but) our volume aspirations are significantly less than they were for the locally made car,” says Toyota’s senior divisional manager for sales and marketing, Sean Hanley. He further disclosed hat the price of the previous Camry was lowered to promote sales and maintain the operation of the local factory. The company believes that the new pricing range won’t affect Camry’s status as Australia’s top selling medium-size car for the past 23 years. While you’re deciding whether you want to pay higher for a new Toyota vehicle, why not keep your current one in tip-top shape? Take your car to the best auto repair service in Canberra. Roverworks is Canberra’s top choice for automotive repairs, parts and maintenance. Our mechanic team specialises in Land Rover and Range Rover models, in addition to servicing of 4x4s, off-road and other car models. We are an authorised inspection station that issues pink slips for roadworthy vehicles. Roverworks also offers interest-free auto repair financing. Check out our Fix It Now, Pay Later offer. We offer interest-free payments up to 18 months. Visit our shop for a quick check-up, Toyota consultation, Toyota repairs, or Honda maintenance and parts.